Being an entrepreneur is a difficult job, as in order to succeed you need to put in all the time, effort, money, and mental strength that you have. What makes this job harder is toxic people; those around you that fuel negativity, stir up doubt, and generally make life difficult. These types of people will zap your energy, distract your thoughts, derail your progress and make you question whether or not you can actually make it. You should know that many of us have undesirable character traits; however, the people that we are identifying as toxic are at the far end of the spectrum. These are the people that will leave a heap of damage in their way, with no thought to you or your business. As the owner of a business, toxic people should be kept as far away as possible from your work. But how can you do so? 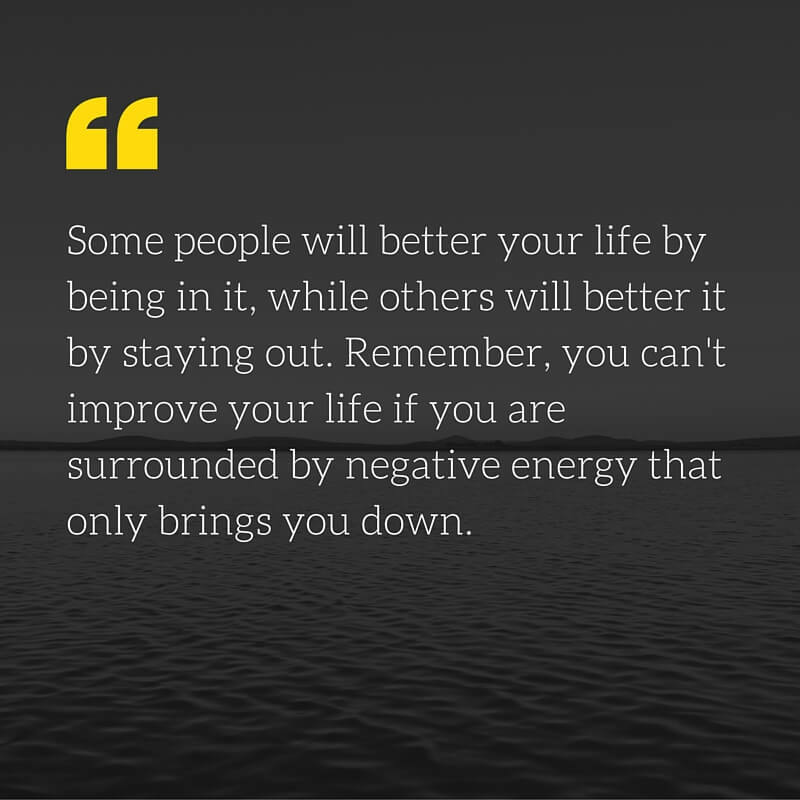 How can you get rid of these negative people that stand between you and your goals? I have come up with a short and sweet guide to identify the toxic people in your life, and effectively deal with them. Most of the time, we are unaware of the toxic people around us. 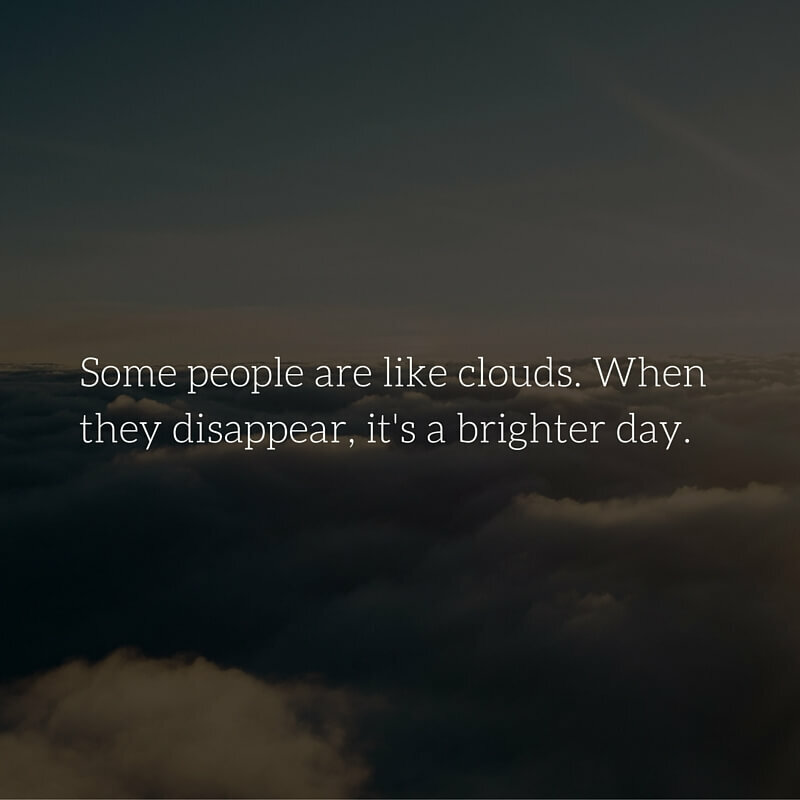 That is why we can be surrounded for so long with the wrong people, and not realize how much damage they are causing in our lives. Toxic people are exceptionally judgmental, and they will criticize every little thing you do without any reason. While constructive criticism is good, toxic people will make a negative conclusion about your idea, product, or service before you have a chance to explain yourself. If you are running your business with someone else, make sure that the person you have chosen is not arrogant. To me, this is one of the worst traits of a toxic person. Arrogance will cause your business partner or employee to cater to their needs before that of the business, and you will always find that they shut down your ideas. Arrogance will also be used to intimidate you, annoy you, and cultivate an uncomfortable working environment. A controlling person will inhibit your creativity and ignore your instructions, because only they know how to get things done right. This type of person unleashes their control through careful manipulation and deceit, and they use any chance to exploit your weakness. And this type of toxic person has the ability to destroy your business structure from within. A recent study conducted by Connectria Hosting shows that 30% of professionals have had to work with a ‘know-it-all’ personality in the last 5 years. This toxic trait is the most prevalent one on this list. As an entrepreneur you always dream of success, whatever your definition is. During these periods of success, the last person that you need around you is a toxic person. Toxic people will not congratulate you when you have accomplished something, as they believe that any success should be theirs alone. Can someone say buzz kill! Everyone knows a ‘glass half-empty’ kind of person. While this is tolerable in your personal life, it is absolutely destructive in your professional life. The last thing that you need during a moment of crisis is someone who won’t shut up about everything falling apart. And even if you are not facing impending disaster, a toxic person will find a way to bring everyone down by going on about the downsides to every idea. We are all adults here, and that means that we are obligated to take responsibilities for our actions and inactions. Unfortunately, not everyone got the memo, and the result is a bunch of people who will never own up to their failure. Can you imagine how exhausting it is to run a business where people play the blame game? And let me warn you; once one person starts to play everyone else will join in. I understand that we are sometimes tempted to make a remark about someone who does something, or says something, or wears something that is unusual. No one is immune to a bit of gossip, however, when this becomes the only thing you do, then you have a problem. Gossiping is a sure sign of insecurity, and it quickly breeds suspicion, hate, anger, and a whole lot of ugly emotions that will make your business environment unproductive. If you find a gossiper, be sure to cut them out as efficiently as possible. We have all seen those videos where an adorable 3-year-old child claims that they have no idea where the cookie went, even though they have cookie crumbs all over their face. Here’s the thing; it’s only adorable when you’re a toddler. Trust is the foundation of a successful business, and when the person beside you can’t keep their story straight, then you’re headed for disaster. These people will lie about the small things (feedback), as well as the big things (finances). And you can never tell when they are being truthful! Keep them around long enough and they will eventually betray you. Bullies often use their strength and size to undermine and intimidate the next person, however, in the work place they prefer to use their words. These types of toxic people will cut down your ideas in front of everyone, belittle your achievements, ostracize you, and create feelings of low self-esteem. Bullies tend to lack empathy and compassion, and they will have no trouble using hurtful tactics to bring others down. If you keep a bully on the team long enough, the performance of everyone else will quickly decline. As an entrepreneur, you are highly motivated to succeed. It is therefore crucial that you select a team that is passionate and motivated like you are. However, sometimes a retrogressive person slips in. In the face of progress this individual is stagnant, and unwilling to move with everyone else. You need to remember that a chain is only as strong as its weakest link. There are plenty more toxic people to avoid, such as the lazy, greedy, clingy, angry, parasites, big talkers, dishonest, attention seekers, non-believers, and non-dreamers. However, the ten aforementioned traits are the most toxic. I know that this may be hard, but before you decide to punish a toxic person try and empathize with them first. Sometimes arrogance is a sign of insecurity, and control is a sign of depression or trauma. By getting to the root of a toxic trait, you can help someone turn their behavior around. This will not work with people who do not want to be helped, and some people might not have a reason for their toxic traits. However, empathy does not mean letting someone getting away with their toxic behavior. There is no excuse to belittle, insult, control, condescend, or lie to another person. P.S. This step will be easier for people with a high tolerance for dealing with toxic people. Toxic people are not toxic unless they have someone to infect. If you have the ability to stay away from someone toxic, do so. For example, a negative individual spends all their time with you complaining about everything that can go wrong. However, if you are not there to lend an ear when they feel the need to whine, you can curb the spread of their negative mindset. And if you do bump into them, keep the conversation as short as possible. If you hear anyone on your team talking negatively about something or about someone, then it is wise to stop that train before it departs the station. When it becomes apparent that negative talk like gossip will not be tolerated in the workspace, then you will see changes from the toxic offender (they might also be sulking for a while). Additionally, toxic people do not expect someone to stand up to them, and by confronting them and making them aware of their negative behavior you can get them to stop. P.S. When dealing with an angry individual, do so calmly and firmly (don’t provoke them for your own safety). I came across a comprehensive worksheet from Workplace Bullying Institute (WBI), which showed how you can calculate the cost that a toxic individual is having on your business. This worksheet is most effective for the bullying personalities, and it will show you whether their behavior is costing you more than they are contributing to the business. So if they bring in $50,000 a year, but their behavior has led to a loss of productivity equivalent to $60,000, then you can make your final decision on keeping them or firing them. While it’s much easier to imagine that the next person is the one being toxic, sometimes we need to take a hard look at ourselves. None of us are perfect, and most of us might fall on the spectrum of some of the toxic traits given above. As an entrepreneur and leader you cannot afford to be arrogant, or negative, or condescending, or untruthful, or any of the other traits listed above. You therefore need to check yourself, and begin to take steps to improve your personality. You don’t want to be the reason that your business fails. Sometimes a person is so toxic that we have to cut off all communication with them. This is because once you have seen all the damage that this person has caused, no amount of mediation will be able to change their behavior. So if you have someone in your business that is too toxic to handle, kick their a** to the curb. And while you are it, let them know the reason for your decision. Maybe they’ll take the time to examine themselves and change their behavior. 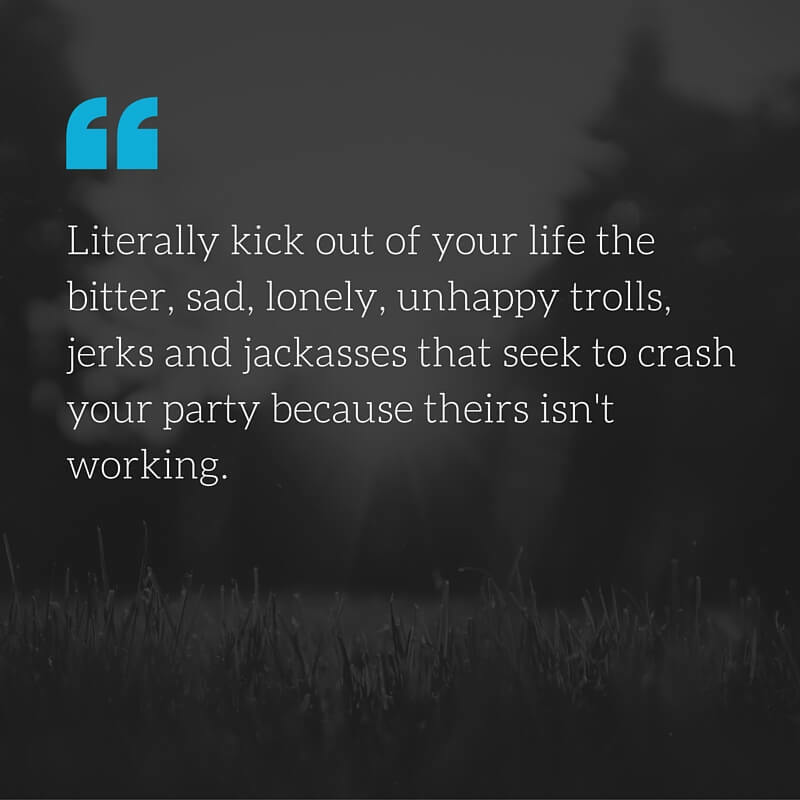 If you need more help with getting rid of toxic people, check out Joe Barton’s stellar advice. Toxic people exert an emotional and physical toll on all of us. Even the strongest people will find themselves overwhelmed by people with toxic traits, and that is why it is imperative to purge ourselves of these people. Though we will always have people who disturb us with their character traits, the toxic personalities that we outlined above are the ones that require immediate action. Hopefully you can use this guide to identify the toxic people in your life and deal with them accordingly. Before you leave drop a comment and let me know what your experience has been with toxic personalities, and share this with your friends so that they can have the vital information as well. And if you would like to become part of the Business Broken Down family, sign-up using the form above. Have a great week, and I will see you next Monday. This is such an excellent excellent post. This is an issue many have to deal with and I think generally it is one that bewilders us somewhat because there often seems to be a degree of control in a toxic person’s behavior that is wearying. I will share this and also spend time reading it again and again. I appreciate the clear information here. Even just reading it leaves me feeling lighter and happier. Thank you; I really appreciate your kind comments. I do agree that toxic people tend to have a hold on us, making it harder to get rid of them. I’m glad you enjoyed the post and found it helpful. Have a great week! Great article! Over the years in my business I have definitely had to weed out a few toxic people. Sometimes it was a hard task to give them the boot BUT once I did life in general got so much easier. It is amazing how draining toxic relationships can be! Thanks for the post! I’m glad to hear that you’ve gotten rid of the toxic people around you. It’s definitely tough, but you’re much better for it. I have dealt with many negative people in my life. It can be incredibly hard when you’re just too close, for example, my mother is one of them. In this case I cannot push them away completely but I can minimize. I liked all your tips, it can be hard too when working with a toxic individual and there isn’t much you can do. I agree that it’s always tough when it’s someone in your family. Hopefully you can minimize the negativity heading your way without cutting off the relationship. Thank you for stopping by! kind thing to do first. I do agree that there are many types of toxic people out there, most of them just biding their time. I’m glad you liked the tip; it’s tough to execute but if it works it’s great for everyone. That’s a great saying, and it’s 100% true. Thanks for checking out the post. Have worked for multinational companies for many years, I had my fair share of toxic people. The most difficult part when you do realize the issue, but your boss who assign team member does not. Leaving you in a very exhausting and destructive environment. This time you need all your diplomacy to ask for reassignment. Not pleasant, but worth the effort. That does sound difficult. That’s why it’s important for leaders to monitor their team, so that toxic people do not cause damage to everyone else. I’m glad you enjoyed the article. For months I’ve been considering getting rid of my toxic clients. You know the ones that are over-demanding, expect everything for free, appreciate nothing you do and then have the cheek to pay you late (after begging). This post has motivated me to do something about them (there’s only a few, but they affect my personality and the my mood). It’s more difficult to purge family members though and unfortunately this is another position I find myself in. Oh well; You can’t choose family, but you can choose what you share with them to avoid the onslaught of negativity. Many people are afraid of getting rid of paying clients, even when they are toxic. I’m glad you’re taking the step to get rid of them, and you should find your focus and creativity improving with them gone. You’re right about toxic family, the only solution is distancing yourself. Thanks for sharing your experience. Love your post, it can take time to get rid of toxic people, but you will run faster with 100 people who want to get to where you want to go, than with one person wrapped around your neck. I really liked your description; it is 100% true. Glad you enjoyed the post. Hi, Loved your post. There will always be toxic people around us and being aware that we need to get rid of them is really something that we should do right away. Great Post! I’m glad you enjoyed the post. We definitely need to distance ourselves from toxic people, and surround ourselves with positive and supportive individuals. i am a sourcing, sales & marketing entrepreneur. i must appreciate the article. believe, it will help me a lot to come into a “kick out” decision about toxic people surrounding me. many thanks for sharing such an important article. I’m glad to hear that this article will help you kick out toxic people. Thanks for stopping by Raihan.